Home » New York » Traffic Tickets » Cell Phone & Texting Tickets in New York » Do Cell Phone and Texting Tickets Transfer to New Jersey? Do Cell Phone and Texting Tickets Transfer to New Jersey? New Jersey drivers who are ticketed in other states will undoubtedly be worried about the impact those tickets can have on their NJ license. This is particularly true of cell phone and texting tickets. Each state handles cell phone and texting tickets differently. Some assign points and some do not. In some states the fines for cell phone and texting violations are very high, while others are more affordable. At the same time, some states permit talking on the phone but not texting. What happens when a New Jersey driver gets a cell phone or texting ticket while in another state? Does the driver have to pay the ticket? If so, which fine does it pay? And how does the ticket affect his/her driving record? New Jersey is among the majority of states in country that participate in an agreement known as the Driver’s License Compact. This agreement establishes that participating states share information about each other’s drivers and traffic violations that occur within their respective borders. 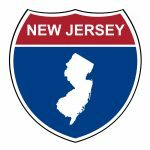 As such, when a New Jersey driver is convicted of a traffic ticket in another state, the odds are that state will send notification of the conviction to the NJ Motor Vehicle Commission. Once notified, New Jersey will record the out-of-state conviction on the driver’s record. Similarly, because most states communicate with each other, a NJ driver cannot simply ignore an out-of-state cell phone or texting ticket. Should they refuse to (or forget to) pay the ticket, the state will inform the NJ MVC of the delinquent ticket and any action the state chooses to take, such as suspending the right to drive in that state. Again, this information will be recorded on the person’s NJ driving record. The cost of a cell phone/texting ticket in New Jersey depends on how many a driver has received in his/her lifetime. A first offense for a NJ cell phone or texting ticket costs between $200 and $400. A second offense costs between $400 and $600. A third and subsequent cell phone or texting ticket costs between $600 and $800, plus the driver is assessed three points and could have his/her license suspended for up to 90 days. What Does This Mean for NJ Drivers with Out-of-State Cell Phone Tickets? When a driver is ticketed for a cell phone or texting violation in another state, he/she must pay the fine that the state in question levies for the offense. For example, in New York, a first-offense cell phone and texting tickets can cost up to $200 along with a mandatory state surcharge of either $88 or $93. This is the cost a NJ driver will pay if convicted in NY. Drivers who get a NY cell phone ticket and have an NJ license will not receive MVC points. However, out-of-state tickets still go on NJ driving records, which can affect auto insurance rates. One study found that texting while driving ticket can increase New Jersey auto insurance premiums by as much as 23%. NJ drivers pay an average of $1,598 annually for car insurance, which means that one ticket can cost up to $370 per year in additional premiums. Moreover, NJ drivers convicted of three cell phone or texting tickets can have their license suspended, regardless of points or where the ticket was written. It’s also important to remember that, unlike many other states, New Jersey does not eliminate traffic convictions from driving records—they are permanently recorded. As such, a cell phone or texting conviction in another state can show up in background checks that include driving offenses. What Should New Jersey Drivers Do? New Jersey drivers should fight to defend each and every traffic violation in order to keep it off their record and avoid paying exorbitant fines, suffering point-induced surcharges, and shelling out hundreds of dollars in increased auto insurance rates. If you or someone you love has been charged with a cell phone violation in New York or New Jersey, contact the Rosenblum Law Firm right away. Let our skilled traffic ticket attorneys use their experience to help you avoid the worst consequences. 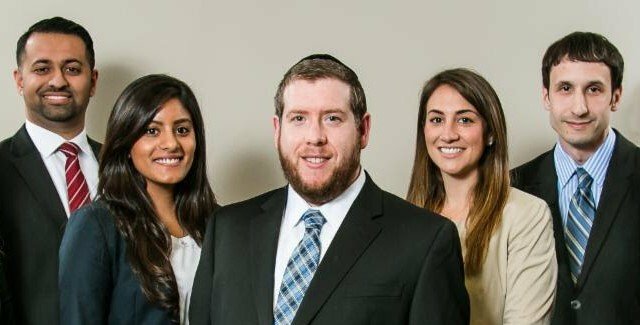 Email the Rosenblum Law Firm or call 888-883-5529 today for a free consultation about your case.